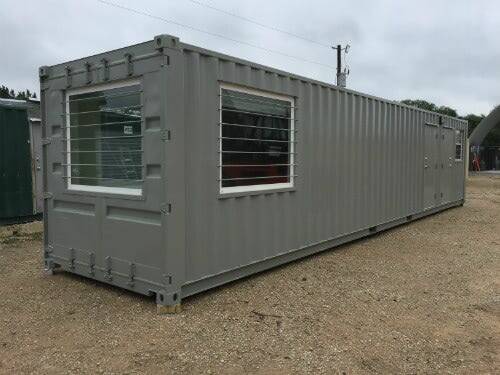 Available in 20-foot and 40-foot sizes, Falcon Structures offers several standard mobile field office products, as well as custom shipping container solutions. Our standard solutions include open floor plans and combination office, storage, conference room, and half bath configurations. Weather Resistance. Shipping container roofs can handle snow loads without leaking. Reliable Comfort. Climate control systems suitable for extreme weather conditions. Modified conex shipping containers provide a comfortable ground level office space for employees and reduce long-term maintenance costs. Constructed of 16-gauge Corten steel, shipping containers will last through decades of relocation to remote job sites. Dual office with a half bath. Your one-of-a-kind mobile field office application. 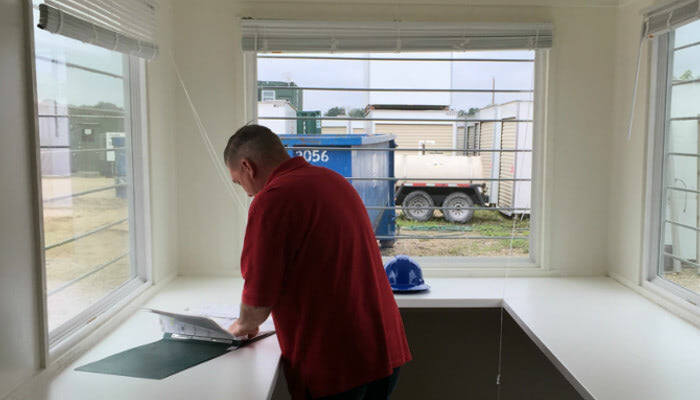 You can choose from our standard mobile office configurations, then add your choice of Falcon’s shipping container options. 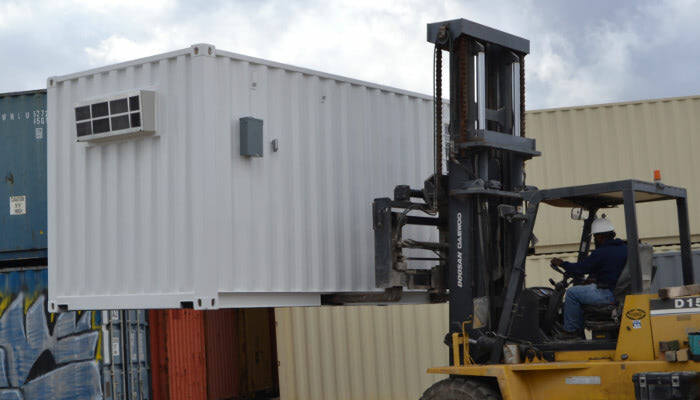 Check out our popular container modification options here. If you have a unique application in mind, reach out to us at 877-704-0177 or sales@falconstructures.com.